Posted on January 27, 2015 at 7:00 pm. between sets. Heavier each set. Posted on January 26, 2015 at 11:56 pm. A-1.) 4×6 (3 each leg) Weighted Step-Up to 20″ Box. Posted on January 25, 2015 at 7:00 pm. Does not have to be touch and go but 3 reps in quick succession focus on being set and tight to start each rep.
Posted on January 23, 2015 at 11:16 pm. Posted on January 22, 2015 at 7:00 pm. Hi Kevin tell us a little bit about yourself, your family, job etc. 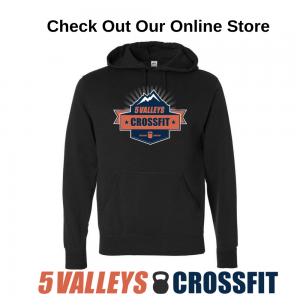 How did you first get involved in CrossFit and how long have you been CrossFitting? Now I know you and your family own and operate The Silver Dollar Bar. Can you tell us the wildest or one of the wildest things you’ve seen there? Have you ever tried to convince anyone from the bar to come CrossFit and how did that go over? I tell anyone who will listen, but most of my friends are not willing to do it, I think that they are afraid, or they enjoy riding a treadmill for hours every day, they may like the mirrors on the wall too. What would your dream CrossFit workout look like? Well I’m game for anything, I not a good runner so probably not much of that. What would your nightmare workout look like? What is your favorite place to eat in Missoula and why?I like the Dino cafe in charlie Bs bar. It’s just an easy, basic place, plus it’s inside a bar that’s not real fancy. What is your top choice for workout music? Do you have any fitness goals or targets you would like to hit in 2015? I would just like to be able to continue crossfit and clean up my diet. What is your favorite way to spend your time outside the gym and work? Posted on January 21, 2015 at 7:00 pm. Posted on January 20, 2015 at 5:27 pm. Posted on January 19, 2015 at 5:00 pm. Posted on January 18, 2015 at 7:58 pm. Posted on January 18, 2015 at 5:00 pm.